25g/1oz - Everybody knows LAVENDER. Great added to teas for hot flushes as it has a cooling quality. Headaches (including sinus headaches) and anxiety/stress are probably the best known uses. Let's not forget that it also helps digestion. Why not put some flowers in your ice cubes and serve in drinks for an effect. 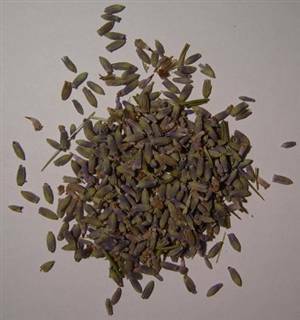 Buy enough to make a lavender pillow for good sleep. This is a traditional remedy for childrens insomnia.